I t’s a major bummer that the United States didn’t make the cut for the 2018 World Cup this year, and the fact that the matches in Russia will be broadcast between 2am and 8am over here doesn’t exactly help matters. 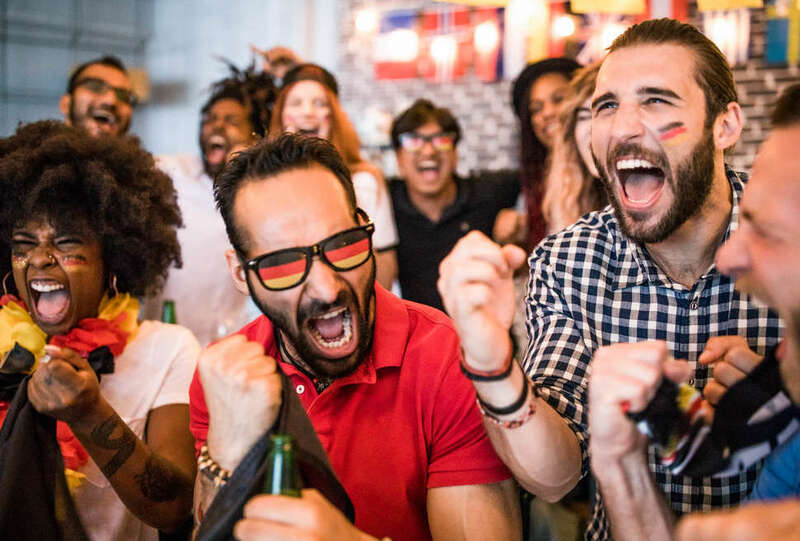 But fear not, die-hard soccer fans: We’ve wrangled up the best restaurants and bars in Honolulu that will most likely be showing the games live during the World Cup’s run between June 14 and July 15. You just might have to ask someone to change the channel to "The Cup of Life." Located in Waikiki, Giovanni Pastrami is a New York-style deli known for broadcasting live sporting events on their 20 big-screen HD and 4K TVs scattered around the restaurant. They start serving breakfast at 7am, so you’ll only be able to catch the 8am start times of the group stages. Enjoy farm-fresh, three-egg omelets as you watch Tunisia take on England on June 18. Valet parking is available for $6 with validation at the Wyndham hotel located just behind the restaurant on Lewers Street. Located at the Kapiolani side of Waikiki, Lulu’s restaurant offers American classic dining with a Hawaii twist and stunning views of Waikiki from their open-air seating area. They open at 7am for breakfast making them another spot for the 8am games. 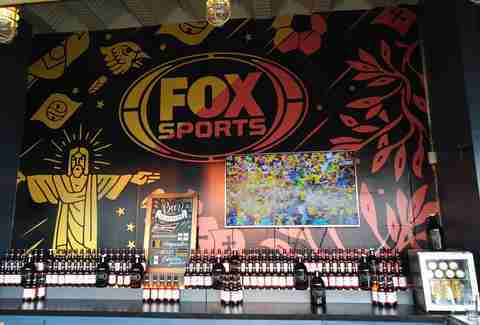 Big-screen TVs line their fully stocked bar, and if they are not already playing the game, they will likely change the channel for soccer fans that ask nicely. Watch Croatia take on Nigeria at 9am on June 16 while chomping on their loco moco breakfast: two eggs served any style, with beef, rice, sautéed onion, gravy, and green onion. Metered parking is available across the street from LuLu’s. Inside the recently opened Whole Foods Market Queen in Ward Village is the two-storied Two Tides Bar. It offers open seating and several big screen TVs across the bar area. Whole Foods Market opens at 7am daily, but Two Tides doesn’t open for service until 10:30am during the week, 9:30am during the weekend. When asked if the World Cup would be broadcast at the bar, the store said all you have to do is ask customer service and they will flip on the big screens. Perhaps grab a cup of Molokai coffee and some fresh pastries at the market and catch the 8am start of Brazil vs Switzerland June 17. The entire world is watching the FIFA World Cup on FOX. You can’t miss the biggest moments in soccer, so no matter where you end up, watch Croatia vs. France and every other World Cup match on FOX & FS1. See the full schedule. 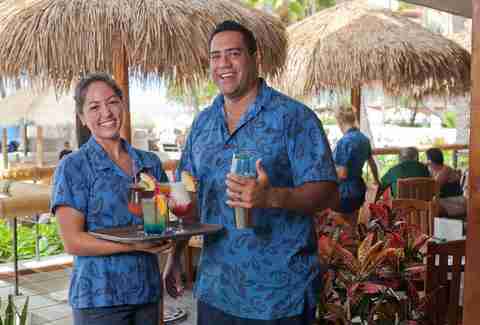 Named after the famed Hawaiian waterman Duke Kahanamoku, this iconic restaurant opens at 7am and offers an $18 breakfast buffet. The Barefoot Bar inside the restaurant has TVs and on request, the bartenders will turn the game on. Dine on their all-you-can-buffet on while catching the 8am start of Germany taking on Sweden on June 23. Valet parking is available at the Outrigger Waikiki Beach Hotel. Don’t forget to get a slice of hula pie. Open from 11am to 4am, Kelley O'Neil's draws a raucous crowd and has live music almost every night. The bar told Thrillist they would put the World Cup games on their TVs, but that the live music would surely drown out the sound. Nevertheless, watching soccer with their eccentric crowd shouldn’t be missed. They also have great burgers and Guinness pies, but you have to get there before the kitchen closes at 9pm. You can enjoy the music, throw back a few pints, and await the start of a 2am game from there before the bar closes at 4am. Yes, the Irish Rose Saloon opens at 6am. After that theoretical short nap on the beach, head to this other Waikiki establishment to catch the 8am start of the next game, say, Russia vs Egypt on June 19. At that hour, the saloon -- known for its lax indoor smoking policy, drink specials, and divey atmosphere -- will be ready to cater to sports fanatics eager to watch any of the 8am games. It's found off Kalakaua Boulevard next to a 7-Eleven on Ena Road, and is a longtime local favorite. Marco Garcia is a photographer and writer in Honolulu, and he guarantees he’ll lose sleep watching as many fútbol games live during the 2018 World Cup as he can.